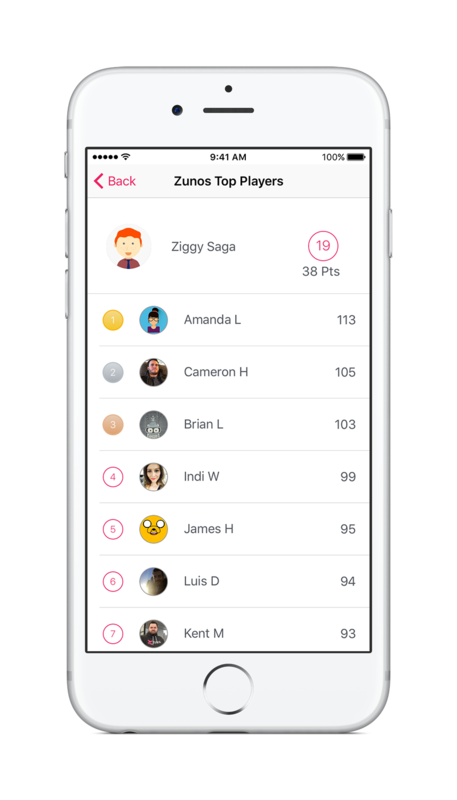 Leaderboards show you the number of points awarded to your team members in a competitive environment. 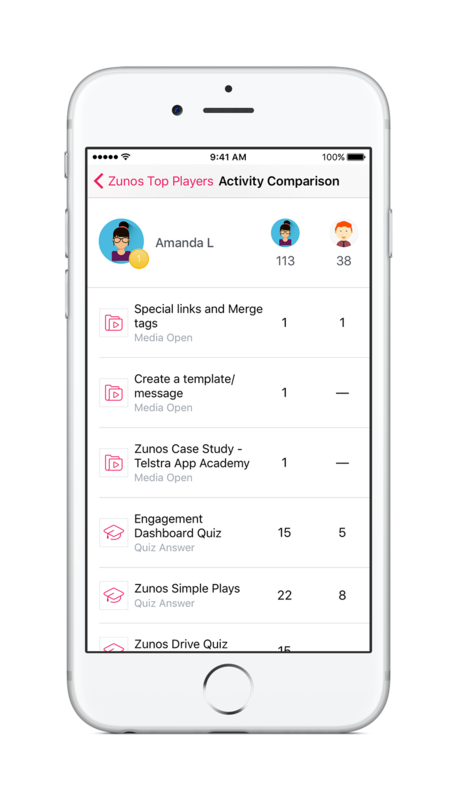 Individuals who complete tasks within the app and stay up to date - will most likely be on top of the leaderboard. Tap on your own name to view your detailed points summary. Tap on the name of your team mate to compare your points. Tap on the activities in the summary to complete tasks. To view who is on top of your leaderboard, tap the Leaderboard icon on your device and who ever has the most points is in the lead. Check your leaderboards regularly to see where you are placed in relation to other users. Your points accrue from your participation in the app. Viewing content, submitting forms and completing quizzes are the activities which will earn you points. To view your own point summary tap on your own name. To compare your own scores to your team mates, tap on their name in the leaderboard, this will load your activity comparison and you can scroll through to see how they are going compared to you. The type of activities visible in the Activity Comparison depends on the preferences and setup by the Admin. The type of activities visible in the Activity Comparison depend on the preferences and setup by the Admin. If you think that the points are incorrect or feel that there is a discrepancy, contact your accounts program manager who can check and adjust your points via the administrators portal.